YOU’RE IN FOR A HUGE SURPRISE! Cyclone Super Swing Ride is a fairground ride that is a variation on the carousel in which the chairs are suspended from the rotating top of the carousel. Every child loves to ride the carousel horses. The carousel horse of this ride is a size that is rideable by children and/or average-sized adults. This ride is fun and is picture perfect for your family. This ride features eight separate tubs that seat two people. The Mind Winder Ride spins in a circle angling each tub up away from the center. The riders can spin their tub simultaneously. Take a ride on this majestic animal that has crossed the world’s deserts for thousands of years. A camel ride is a great idea for each little adventurer to view the carnival atop a camel’s back. Enjoy two stilt walkers during your time at the carnival. Stilts for walking are poles equipped with platforms for the feet to stand on and can be used with straps to attach them to the user’s legs. This is one of the most sought-after carnival games. Compete with your sibling, spouse or parents in who can hoop better. This one is going to be lots of fun! The wrecking ball carnival ride consists of an open seated platform suspended from a giant pendulum. Riders swing back and forth while spinning giving them an exciting ride. The tubs of fun ride is just like the big amusement park rides where you spin and spin until you can’t take it anymore! Spin your cup as it spins around the base of the ride! The Circus Train is a circus themed train ride that features various circus animals, clowns, and characters. This is one of those rides every child loves to ride with their parents and siblings. Rock climbing is an activity in which participants climb up, down or across artificial rock walls. We will have two rock climbing available, with one dedicated to sisters. 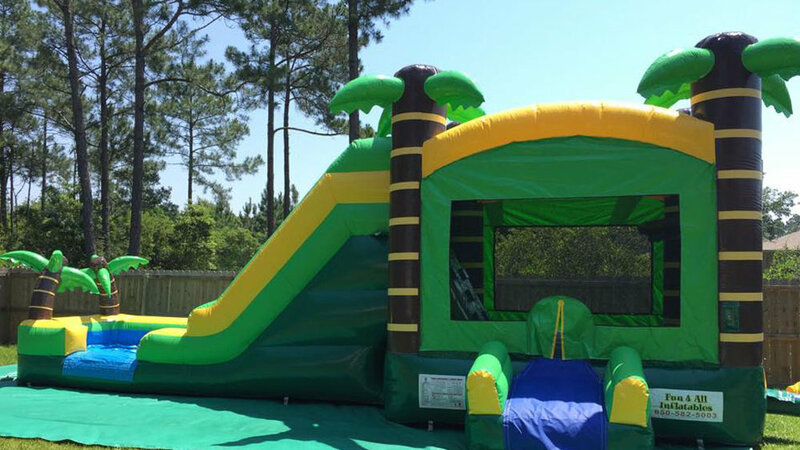 Enjoy super bouncy sliding fun with the Tropical Combo. 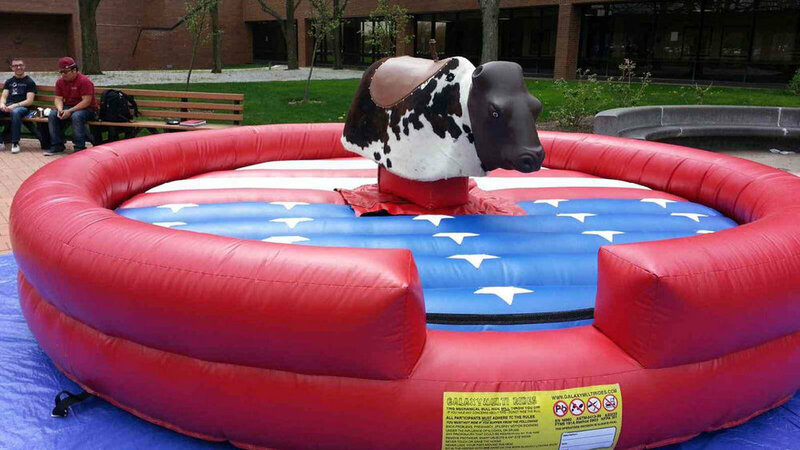 Enter the safe closing bouncy house and jump. Then climb the rock wall up to the giant slide. It’s fun for kids, and just as much fun for adults! A carnival is not really a carnival if we don’t have a balloon artist. We will have a balloon artist who is not only good at making shaped balloons, but also make your child smile. This 4 Man Equalizer, a game for teenagers and adults, brings the excitement of both football and basketball in one game. Up to 4 players can compete in this popular game. We will have two Zorb Balls (2) with Track permitting control for players who want to test their endurance and power. Compete with your friends and family and see who’s stronger! Texas Speed Zone Go is one of the most sought-after carnival games. Compete with your sibling, spouse or parents in who can hoop better. This one is going to be lots of fun! The V4 Ultimate Bungee is a high flying bungee trampoline experience! It is one of the most sought after rides in any carnival. This ride has height and weight restrictions. A high striker operates by utilizing the lever where one end holds a puck attached to the tower and the other end is struck by the person or contestant using a hammer or mallet.